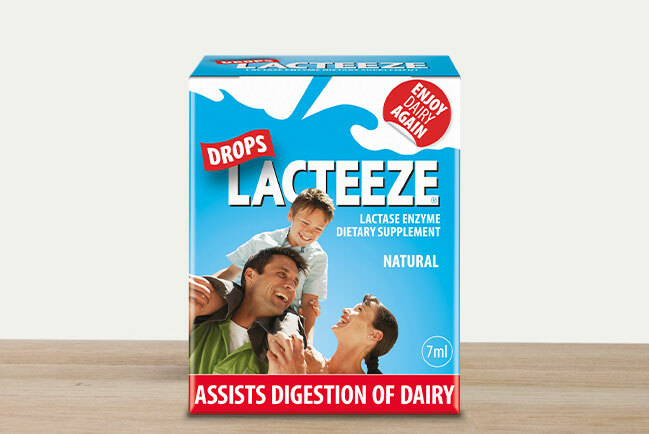 LACTEEZE ULTRA CAPLETS ARE OVER DOUBLE THE STRENGTH OF ANY OTHER LACTASE ENZYME SUPPLEMENT ON THE MARKET! 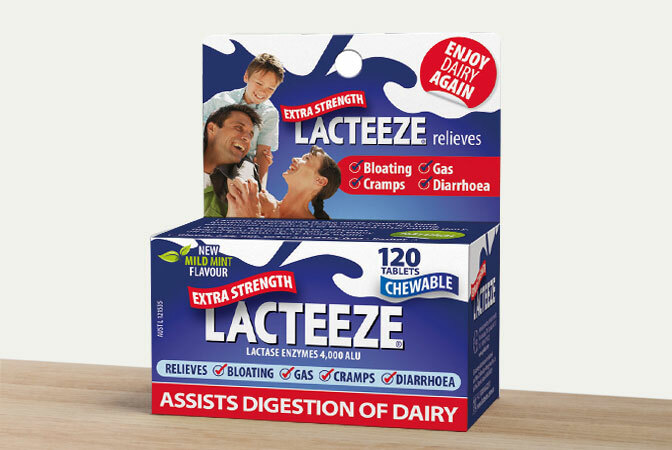 LACTEEZE ULTRA caplets are formulated for adults – providing 1 caplet relief for people with moderate to severe lactose intolerance. 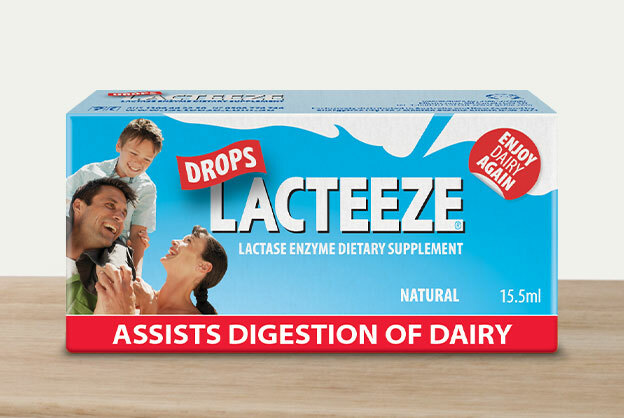 Lacteeze contains natural lactase enzymes which help digest the lactose in dairy products. 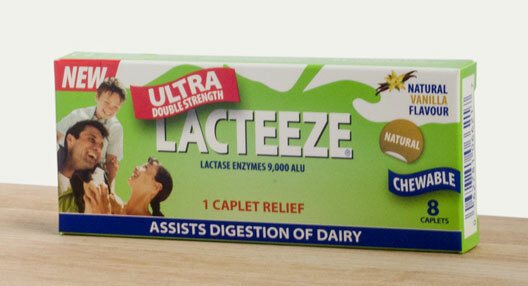 Simply chew or swallow 1 Lacteeze Ultra caplet just before consuming dairy foods. Repeat the dose to eat dairy after one hour. Try our Ultra 8 caplet pack to trial the product (also great as a purse size pack). 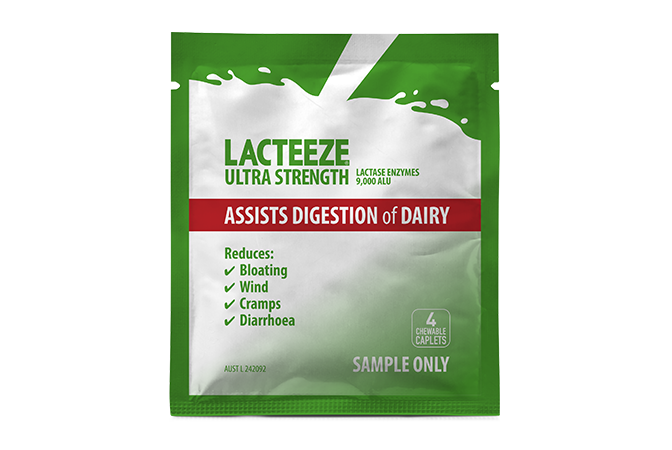 Dextrose, microcrystalline cellulose, lactase (9,000 FCC lactase units), microcrystalline cellulose, calcium stearate and natural vanilla flavour. 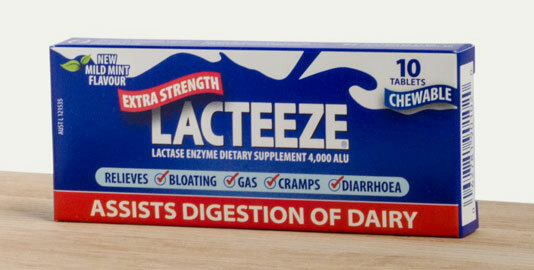 I love Lacteeze! I love that I can go out for dinner with friends and share meals without worrying about whether it contains dairy. 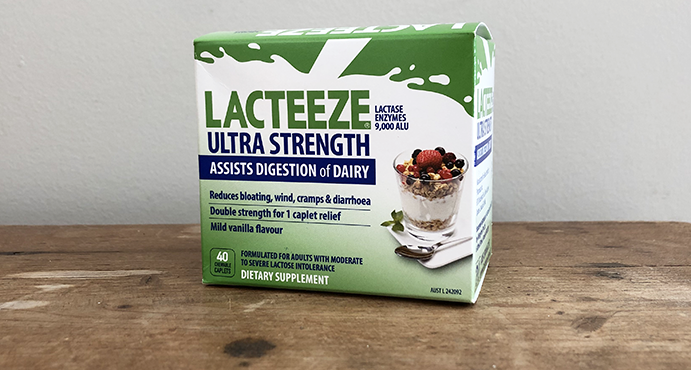 Thank you Lacteeze for creating your products! As someone diagnosed with multiple autoimmune conditions and dietary intolerances, I could not recommend them more highly and always have a bottle with me. Monday – Friday, 9am to 5pm EST or click here for Customer Service.